Lens Description: This ultra wide angle zoom lens incorporates the latest optical design provides superior performance. I have been using this lens mounted on my Nikon D700 for a few months now, particularly to shoot low-light architectural interiors. The combination of the D700’s amazing low-light capabilities and the Sigma extreme wide angle has allowed me to shoot pictures previously inaccessible. We are architects, and capturing the internal ambience of our buildings is of great importance. The Sigma 10/20 has had very mixed reviews, and I had to learn from more experienced users in order to get the best out of the lens. I almost always use manual focus and a minimum aperture setting of f8. Using the camera/lens combination in this way has been a wonderful learning curve, with great results. I give the lens four stars ! Sorry about this, but there was a typo in my previous post : of course I am referring to the Sigma 12-24 f4.5-5.6 11 DG HSM – used carefully, I would probably give the lens 4.5 stars ! 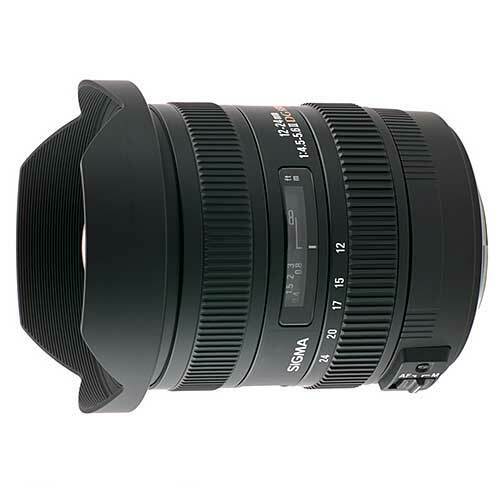 I’ve been looking at the Sigma 12-24mm for my Nikon D600. However, the F4.5 is not appealing as I’d prefer F2.8. Any other suggestions in a similar price range? 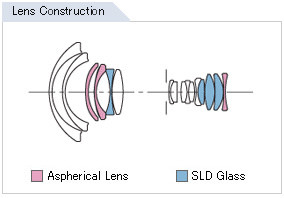 I purchased the original version of the lens about 2003/4 shortly after it hit the market. Originally used it on DX body — this was before FX bodies were available. Then used it on a Kodak SLRN which was the first Nikon mt body with full frame. Eventually used it on a D700; and more recently on D800. Always sharp with good contrast and no apparent distortion. Coverage equaled by no other lens. Despite no filter option, front element has suffered only one tiny insignificant mark in all these years. I think a combo of my care plus design of built in lens shade. Currently used in conjunction with Nikon 14-24. When speed (low light shooting) is necessary I mount the Nikon. When coverage is my priority I use the Sigma since those extra mm are visually significant at wide end. However, now mounted on D800 with its remarkable low light performance, max aperture differences between the two lenses much less significant. Do you need such a wide angle lens? For tight interior shots — yes. In travel photography I frequently encounter crowds of people standing in my way and not moving so that I can get the shot I want. 12mm capability allows me to step in front of these crowds and get the shot I want. A great time savor and my patience is not challenged. A final tip. If you use the large metal lens cover it is likely not replaceable and likely expensive if you could find one. When packing the lens for travel I use the original metal cover. But while shooting and moving around I use the plastic lid from a Skippy Peanut Butter jar which fits and serves as my cover. Actually, I think most peanut butter jars are the same size so other lids would probably work as well. Travel photography my special interest and it has been used extensively. I never did any head2head compare re IQ between the two lenses, but the Sigma seems to be quite comparable optically. And the Sigma is significantly lighter and a bit smaller than the Nikon. Since I was still using DX much of the time during the ensuing years I also later bought and still own the Sigma 8-16DX, which I also love. Would rate both optical and build quality at 4.5 out of 5.